Four generations of intellectuals discuss their political histories and present perspectives, and the specialized work for which they are, often, best known. These recollections span the one hundred years from the eve of the Great War to the present, ranging across Europe East and West, the Americas, Africa and Asia. Psychoanalysis, philosophy, the gendering of private and public life, capital and class formation, the novel past and future, geography, and the theory and philosophy of language are among the associated areas of intellectual exchange. At the heart of the collection, in all its diversity of testimony and interpretation, reflection and affirmation, is a critical experience of communism and the tradition of Marx. The extended critical interview is perhaps uniquely flexible as a form, by turns tenacious and glancing, elliptical or sustained, combining argument and counter-argument, reflection, history and memoir with a freedom usually denied to its subjects in conventional articles and books. This volume brings together fifteen such interviews from New Left Review to illuminate the record of intellectual engagement on the Left in the twentieth century and since. 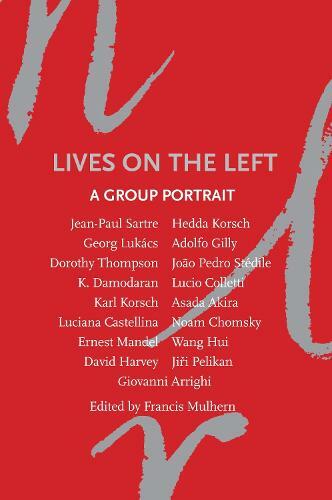 Lives on the Left brings the voices of the intellectual left to a new generation of readers. Included here are Georg Lukacs, Hedda Korsch, Jean-Paul Sartre, Dorothy Thompson, Ernest Mandel, Luciana Castellina, Noam Chomsky, David Harvey, Joao Pedro Stedile, Wang Hui, Giovanni Arrighi and others.